Looking for breakfast on New Years Day in Perth is no easy task. It is hard to tell which places are open and which are closed over the festive season. As we drove along Rokeby Road in Subiaco after New Years Day, we noticed that 1982 Espresso was opened apart from Dome which was down the road. 1982 Espresso takes its home next to Regal Theatre, formerly the home of Brownhaus. As it was the first day of New Year’s, a hearty breakfast is needed to kickstart 2014. We had the Full Breakfast ($21.50) which consists of fried eggs, hash brown, baked beans, bacon, mushroom and gluten free pork sausage. The eggs were fried perfectly and everything else was cooked well on the plate. All the elements on the plate complemented each other well and were delicious. 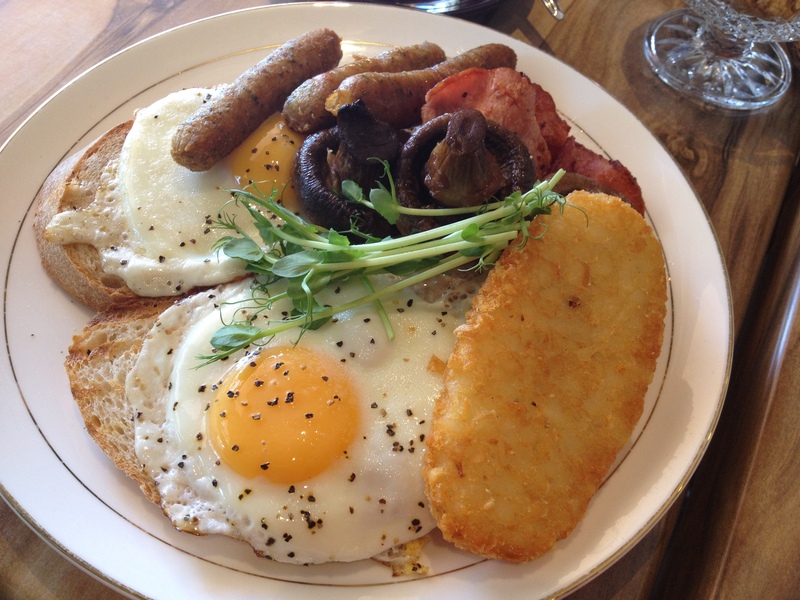 To start off the day, the full breakfast will keep you full and your belly happy. 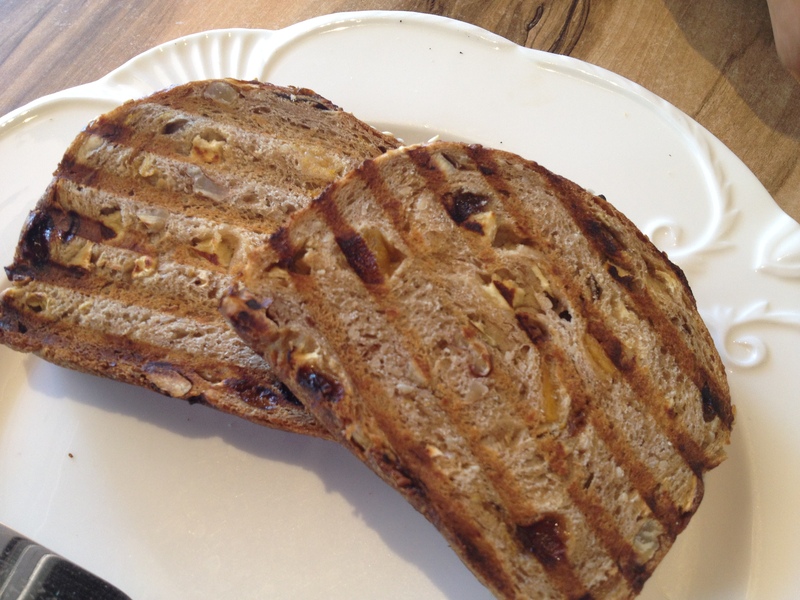 We also had a Fruit Toast ($5.50) which was toasted perfectly and came with butter and jam on the side. Apart from serving breakfast, 1982 Espresso also offers good coffee too. A cosy and homely atmosphere, 1982 Espresso is a great place to catch up with friends or for that post theatre or after dinner coffee or dessert. A great find in Subiaco.